I attended an industry panel discussion last week at law firm Cameron McKenna’s office in Cannon Street. A number of operators and industry investors were present, and over coffee and pastries, the room discussed a variety of issues including the current market conditions. Despite a number of the large casual restaurant groups around the UK suffering in the current climate, the mood in the room was bullish. Yes there are rising operating costs and continued staffing woes, but the bottom of the so-called cycle is often a great time to launch a new concept. At the start-up and early stage end of the spectrum, the overriding message was that now was a good time to take advantage of the market conditions, especially the restaurant property market, that should continue to correct itself over the remainder of 2018. 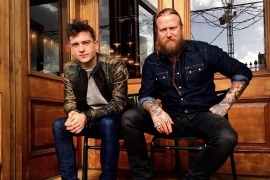 Social media favourites Jackson Boxer and Andrew Clarke created an Instastorm in the last few days by announcing their next project after Brunswick House. 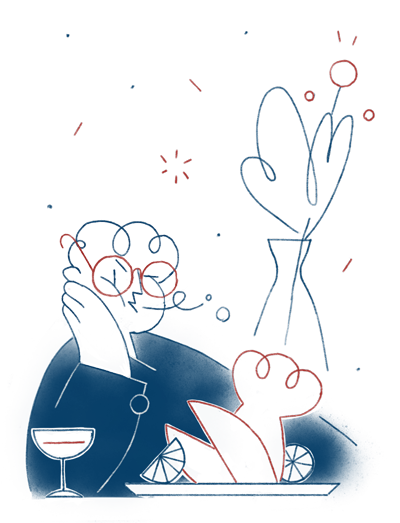 The pair, both chef-patrons, will open St Leonard’s in Shoreditch, a 70-cover restaurant radiating out from an open fire, with what they call earthy, rustic dishes, from snacks to whole roast duck, with hints of the cooking style of south-west France. 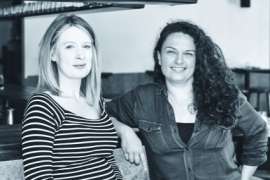 Great news for fans of Oklava – founders Laura Christie and Selin Kiazim are launching their second site in May. Kyseri, on Grafton Way near Tottenham Court Road, will focus on the Turkish take on pasta, with Kiazim showing her expertise in both familiar dishes such as manti and more unusual ones. Christie, founder of Islington’s Linden Stores will create an expansive Middle Eastern wine list too. Got £10 to invest? You could be a part of the next stage of the Harts Group development. Sam and James Hart, together with Crispin Somerville, are opening three new restaurants in Coal Drops Yard at Kings Cross with a Crowdcube campaign to raise £750,000. The plan is for a Barrafina, a sister to El Pastor called Casa Pastor and a wine bar called The Drop. All being well, the trio will open their trio in autumn 2018. The clocks have changed, and so has the line-up at Marylebone’s Carousel. Next up at the revolving restaurant will be The Ethicurean, New Orleans’ own Brad McDonald (fondly remembered for Lockhart), plus Prateek Sadhu of Alinea, The French Laundry and Noma, and Rishi Naleendra, best known for Singapore’s Cheek by Jowl. At £39.50 per ticket, Carousel’s guest programme is a great way to try different chefs. Reservations open tomorrow for the White City outpost of D&D’s Bluebird – with the all-day café opening fully on 11 April. It’s right at the heart of the redevelopment of Television Centre, but the décor is more British artists than sitcom stars, and the menu features both Bluebird classics and new dishes. W12 is on track to be London’s food destination of the season. With vegan food on a stratospheric rise, it’s particularly interesting to hear that Burmese pop-up turned permanent restaurant Lahpet will make its own tofu at its new Bethnal Green Road site. 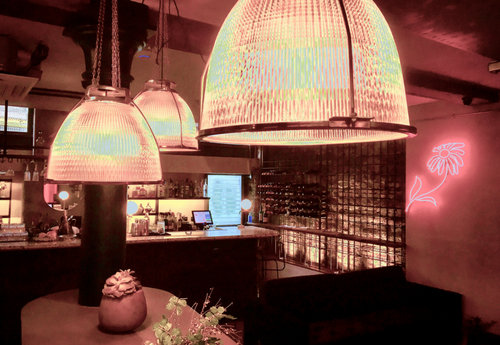 Of course there will be lots of potent dishes on the sharing-plate menu, from curries to salads – owners Dan Anton and Zaw Mahesh plan to put Burma on the London’s culinary map when Lahpet opens next month. Eccleston Yards in Belgravia is already home to Tart London and Barry’s Bootcamp, and in May it gets a further boost with the arrival of The Jones Family Kitchen. The steaks and prime cuts that the original Great Eastern Street branch (the Jones Family Project) is famous for will boost the protein intake of the gym bunnies, but there will also be barrel-aged cocktails on offer too. 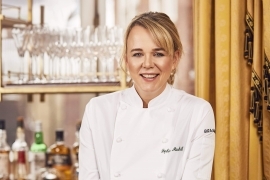 Known for her energy and enthusiastic support of women in hospitality, the chef Sophie Michell has taken on a huge new project – she is now executive chef across all of Home House’s food offering. The private members’ club on Portman Square – celebrating its 20th birthday this year – has the fine-dining restaurant, an Asian Octagon room, an outdoor ‘garden’ restaurant, plus room service and events spaces. Michell will oversee a team of 33. 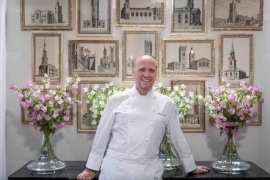 You might not associate Michelin-star-holding German chef Heinz Beck with casual dining, but after a residency at Brown’s last winter, he’s back to open a permanent restaurant within the Albemarle Street hotel that will offer hearty Italian dishes. Beck at Brown’s has a traditional wood-panelled décor with some of the hotel’s art and antiques dotted around – CODE, however, is more interested in the little dishes offered during a food-focused ‘happy hour’ each day. A rare opportunity to join a south London institution at the highest level. 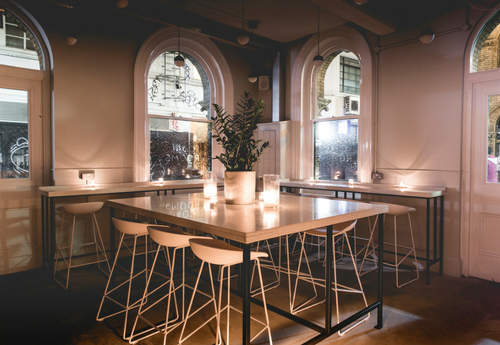 Since 2012 Milk has been paving the way in London for modern, quality driven antipodean café food & coffee. 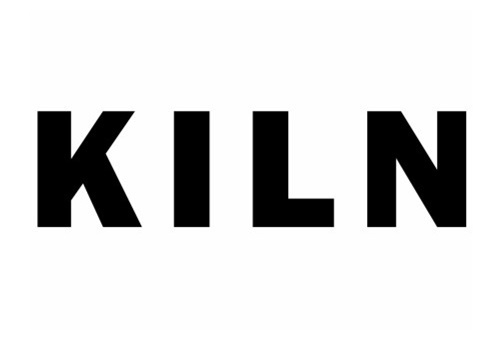 At Milk we want to serve the most delicious and exciting food we possibly can and our Head Chef will work creatively and practically to facilitate this over our two sites, Milk and Milkteeth. Our kitchens are fastidiously organised to ensure consistency and quality over thousands of covers a week. 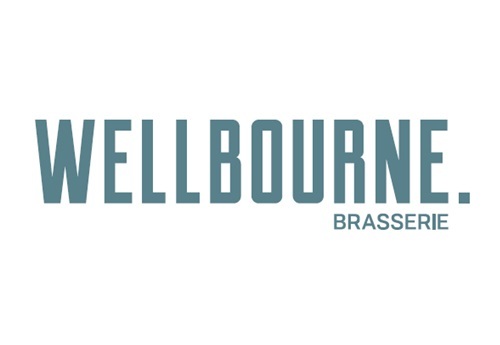 Wellbourne Brasserie is an all-day dining restaurant and bar with a focus on quality ingredients served as sympathetically as possible, with an accessible price point. We are looking for chefs to run and take ownership of sections within the kitchen primarily in the preparation of fresh fine ingredients. Working within a creative and exciting environment and with a passionate and talented team, this is an ideal role for any up and coming chef to learn, grow and develop. Work with an ingredient-focused daily menu and wine list in a small Soho restaurant, alongside a focused team of professional front of house and chefs. Expect vinyl records, burning wood/charcoal & low intervention wine. The Dumbwaiter is a fan of old-school attitudes, which is why his attention was piqued when he heard about The Lost Kitchen in Maine. The restaurant was receiving so many booking enquiries that it is now only taking handwritten reservation requests that have to be sent in the post. It's not clear whether the restaurant will send a handwritten reply to every letter received. Bukowski Grill on Soho’s D’Arblay Street has shut up shop. The Dumbwaiter hears that the former diner will be taken over by a restaurant that specialises in eastern Mediterranean food. Kate Moss was spotted at Buddha Bar in Knightsbridge last week, while just up the road Pippa Middleton was seen dining at Dishoom in Kensington. Over in Marylebone, Elton John was enjoying himself at the Ladder Shed bar at Chiltern Firehouse ahead of his birthday. The Dumbwaiter hears he was still standing. From Portland Place to Paris. Click here to read The Dumbwaiter’s best bites of the week. 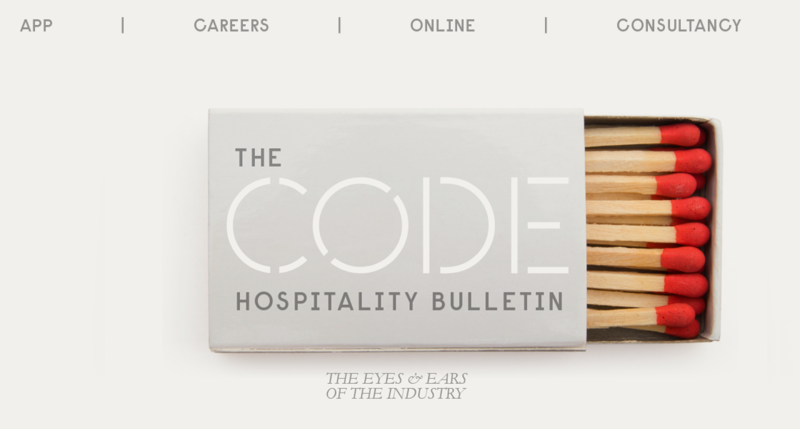 The CODE Bulletin is published by Nexus CODE Ltd.